I had been eying this book up in the church library for several weeks now, but I was in the middle of so many other books I thought I would wait. But after a particularly hard weekend, I decided to take the book out, desperate find hope and healing in the pages. I was disappointed. In fact, I think it made everything worse. 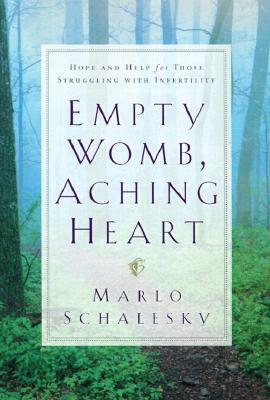 The book is a collection of stories from real people, and their struggle with infertility. It just made me sad to read them, and most of them were 35+ and have been dealing with infertility for much longer than I have, and still did not have any children of their own. It kind of makes me panic. It makes me want to get on an adoption list right now. This book conveys SO many of the emotions I have felt, and that I am feeling. I think it would be a great book for a pastor, or my family and friends to read. It would help others understand what I and so many other infertile couples are going through. It would also be great for someone who wants to know they are not alone. But I already know that because of the blogs and message boards I am part of. I was looking for encouragement, hope and healing but instead this book reminded me just how serious and hopeless my situation is and could be. I thought maybe it was just because of the valley I have been in lately, but to quote an Amazon review "I do not recommend this book for anyone who is already on the brink of losing hope. This book will take you right over the edge"
Wish I would have read that review first. sorry that happened - I bet you find well-meaning people who bring the brink of despair closer too. Books & people & your own human thots WILL let you down. But your Best Friend will not. I often remember to pray for you guys. Whole9 | Let us change your life.